Tickets include a weekend of camping for the period July 13 – July 16. One ticket per person. 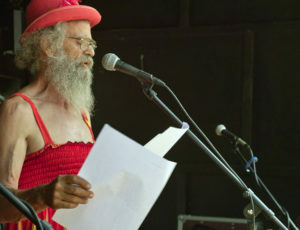 This is not the Peace Fest. 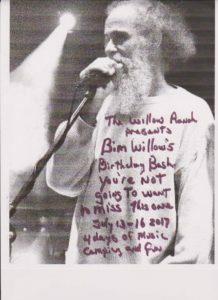 It is a return to the original birthday party for Bim Willow. This year I will go all out for this one because I also turn 65 and I’m going to semi retire . I hope to spend more time here at the Willow Ranch making it into a campground and a people’s art park. 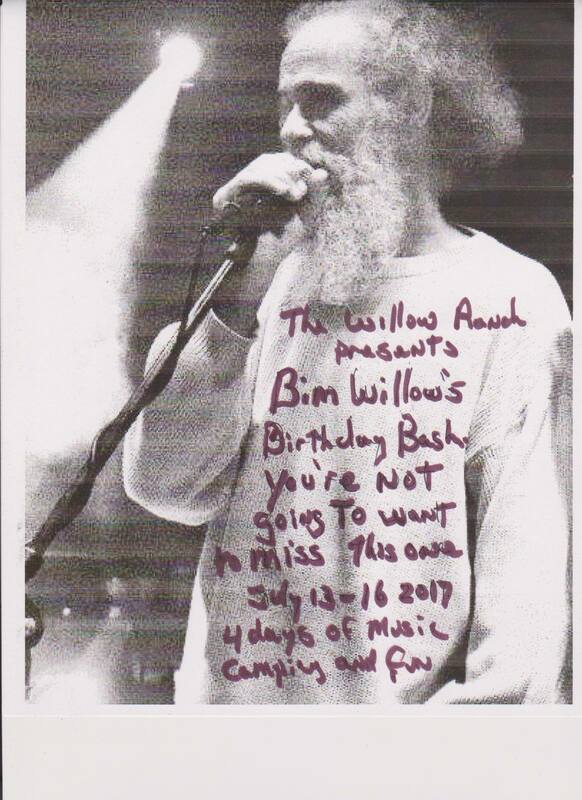 All the proceeds go to benefit the Willow Ranch in making improvements . The reason I continue to have events here is because of all of you that have told me how the Willow Ranch has changed your life and that it is your heart home. If it is your heart home, come home this summer to be with your willow family. This year I retire. What does that mean to someone who has been retired all his life? I now get a SS check. It also means that I have limited time left here on this planet before Aliens come back to take me away……or not. Seeing that I have maybe twenty good years left to create and inspire to create, I plan on dropping willow furniture making as a prime income.. I will continue to teach how to build the furniture to inspire others to keep the tradition alive. I will be focusing on working more around the Willow Ranch to establish an inter-active art park. I also plan on writing and reciting books published as well as publish more. Now more than ever I feel the need to dig in , hunker down, grown a huge garden and spend time with my tribe.